House Sign - - graceful 15.75"W x 6"H personalized house number marker. Rectangle shape plaque with rounded corners. Made in USA. Wall mount address plaque holds up to five (5) 4" characters on one line. 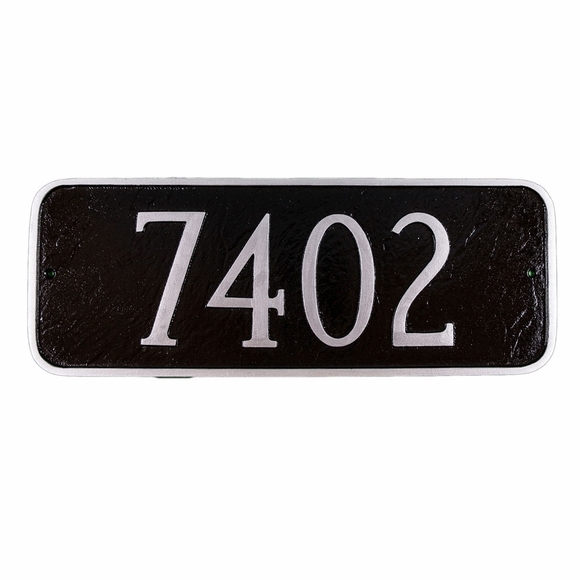 Graceful House Sign personalized with your house number in large 4" numbers and rounded corners. Lawn Mount version also available (Comfort House item #: P2520).